The Hollis Country Store, since 1930. Alongside Scenic Arkansas Highway Seven, in one of the more remote sections of the Ouachita Mountains, sits a classic community store made of local stone. At first glance, one might think the place is old and lost to time. But no, the Hollis Country Store is still in business. 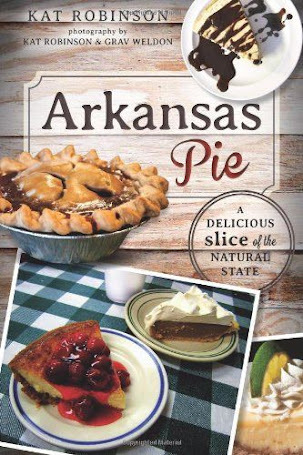 The original building was constructed not long after Arkansas renumbered its state highways to comply with the then-new Federal Highway Administration back in 1926. The store was opened to serve the resident of Hollis, a mountain community named after Hollis Britt Aikens, a Union soldier who served in the Civil War. A year after it first started serving residents, construction began on the structure we see today - a sturdy and everlasting single story structure created from layers of mismatched rocks and mortar with an overhang porch. It was built by Mike Gross and William "Bill" Furr. Gross, a country doctor, operated the store and the local post office, which was south of the grocery. Electricity came from a Delco generator housed in a shed behind the building. The store was sold to Dennis and Lillie Crain in 1940. They lived in the back of the building and their children grew up there. Their daughter Gulelma and her husband Loyd Hawks took over in the 1950s, and the store was expanded with frame additions. When Dennis Crain died in 1980, Lillie Crain sold the store to their son Harold and his wife Louise. In 1989, they sold it to Loyd and Gulelma Hawk's son Berl and his wife, Connie. Berl died in 1999, but Connie still runs the store to this day. The site is up for historic preservation. You can read more about its history here. On our trip up Scenic Arkansas Highway Seven during Spring Break, Hunter and I spotted the store and looped back to check it out. There's really not a whole lot between Jessieville and Ola on this stretch of highway, just a series of Ouachita Forest trails and picnic areas and a whole lot of gorgeous views. The first thing I noticed when we got out was that there was a truck out front... and a gentleman operating the late-1960s era gas pump. I haven't seen one of these in operation in years. detergent. A counter sat to the left, and a small kitchen stood to the back right. Hunter immediately gravitated towards the chips stand, and she perused the selection while I looked around. I haven't seen a store like this in ages, but recall many set up like this when I was a kid. There was everything available, including fishing equipment and bait, motor oil and baking supplies. What really caught my attention was an ancient cooler alongside the north wall. This ancient double-sided cooler was marked Top Mark Refrigerator Company of Blytheville, and it had shelves in it for storing meats and cheeses. It's still being used for this purpose. 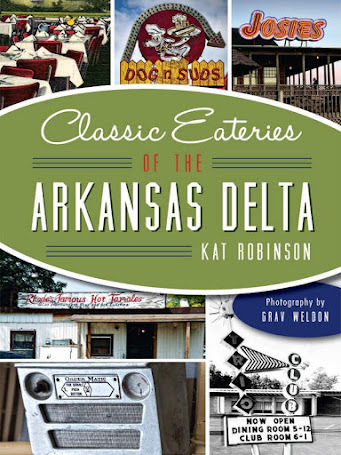 It was packed with Petit Jean Meats bologna, peppered loaf and ham along with red wax cheese and some lettuce and tomatoes, jars of pickles and mayonnaise and tubs of mustard and butter. There were also individual packages of cheese and bottles of chocolate milk for sale. Hunter chose a bag of Cheetoes puffs and I paid at the register, and we were back out the door. I made a note to add it to my travels, and caught Hunter at the old fashioned pay phone out front before we left. Our stop was quick, but we'll be coming back to learn more. One thing I have learned since is that the place is up for sale, along with the three bedroom, two bath house out back. 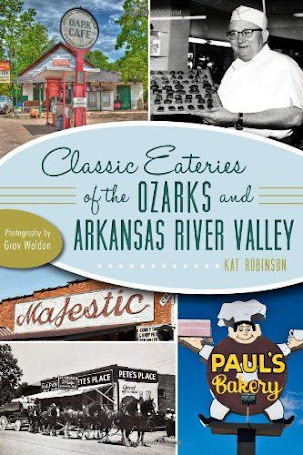 There's no cell phone signal, as far as I could figure, and it's a good stretch to anything close, but it's a lovely oasis, a throwback and a historical landmark, and I would suspect with all those folks who use Highway Seven to get from Russellville to Hot Springs that business is good. Here's a link to the listing, if you are interested. And if you want to keep up with the Hollis Country Store, check out this page on Facebook. You will find here some of the most honest, hardest working, down-to-earth people I know! 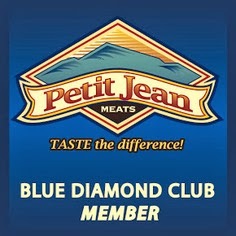 You can also get a fresh sandwich made to order with the Petit Jean lunch meat! (They will even slice an onion to make it perfect for you!) A good place to catch up on the news of the community and the store is and has been important to the people of the area for years. People there are very judgmental and stuck up. Terrible place. And very racist believe me I've lived there. Some of the finest folks I know. Down to earth and friendly, never met a stranger. Welcoming to everyone. 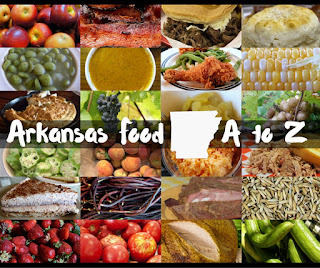 That has been my experience and I feel blessed and proud to have South Fourche roots and a long, proud family connection to a true Arkansas gem - the Hollis Country Store. This is a great place to get a sandwich...Connie makes the best sandwich. She has even made me veggie sandwiches. She also puts salt and pepper on them. I have been stopping at this store since 1993. I stopped by this past weekend while photographing the old South Forche River bridge. I decided I needed something to drink, so went inside for a bottle of water, and a nice chat with Connie. Feltner's Whatta-Burger Still Going Strong. Lost To Time - Browning's Mexican Restaurant. The Man Who Drank The Gravy.